Banca d'Italia (pronounced [ˈbaŋka diˈtaːlja]; Italian for Bank of Italy), also known as Bankitalia, is the central bank of Italy and part of the European System of Central Banks. It is located in Palazzo Koch, via Nazionale, Rome. 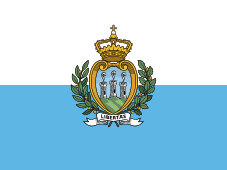 The bank's current governor is Ignazio Visco, who took the office on 1 November 2011. 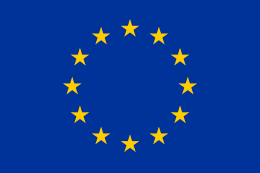 After the charge of monetary and exchange rate policies was shifted in 1998 to the European Central Bank, within the European institutional framework, the bank implements the decisions, issues euro banknotes and withdraws and destroys worn pieces. The main function has thus become banking and financial supervision. The objective is to ensure the stability and efficiency of the system and compliance to rules and regulations; the bank pursues it through secondary legislation, controls and cooperation with governmental authorities. Following reform in 2005, which was prompted by takeover scandals, the bank has lost exclusive antitrust authority in the credit sector, which is now shared with Italy's Antitrust Authority. Other functions include, market supervision, oversight of the payment system and provision of settlement services, State treasury service, Central Credit Register, economic analysis and institutional consultancy. Bank of Italy gold reserves are 2,451.8 tonnes (2006). The institution was established in 1893 from the combination of three major banks in Italy (after the Banca Romana scandal). The new central bank first issued bank-notes during 1926. 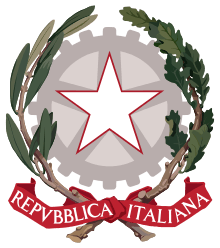 Until 1928, it was directed by a general manager, after this time instead by a governor elected by an internal commission of managers, with a decree from the President of the Italian Republic, for a term of seven years. The Bank's governing bodies are the General Meeting of Shareholders, the Board of Directors, the Governor, the Director General and three Deputy Directors General; the last five constitute the Directorate. The general meeting takes place yearly and with the purpose of approving accounts and appointing the auditors. The Board of Directors has administrative powers and is chaired by the governor (or by the Director General in his absence). Following reform in 2005, the governor lost exclusive responsibility regarding decisions of external relevance (i.e. banking and financial supervision), which has been transferred to the Directorate (by majority vote). The Director General is responsible for the day-to-day administration of the bank, and acts as governor when absent. The Board of Auditors assesses the bank's administration and compliance with the law, regulations and the statute. The Directorate's term of office lasts six years and is renewable once. The appointment of the governor is the responsibility of the government, head of the Board of Directors, with the approval of the President of the Republic (formally a decree of the President). The Board of Directors is elected by the shareholders according to the bank statute. On 25 October 2011, Silvio Berlusconi named Ignazio Visco as new governor of the bank, replacing Mario Draghi. Banca d'Italia had 300,000 number of shares with a nominal value of €25,000. Original scattered around the banks of whole Italy, the shares now accumulated due to the merger of the banks since 1990s. The status of the bank states that a minimum of 54% of profits would go to the Italian government, and only a maximum of 6% of profits would distributed as dividends according to shares ratio.